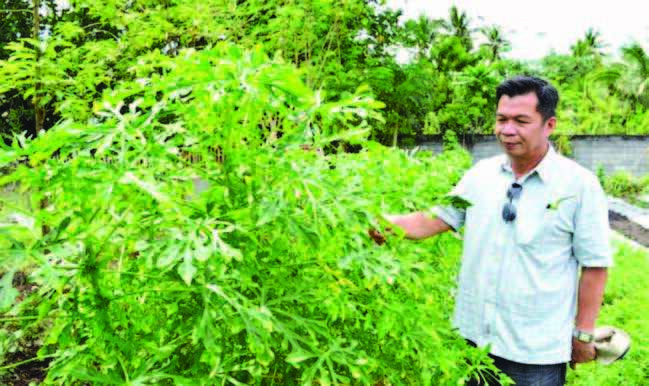 Get to know the lagikaway, a perennial shrub indigenous to the Philippines. Lagikway (Abelmoschus manihot L. Medikus) is a perennial native shrub belonging to the mallow family Malvaceae. 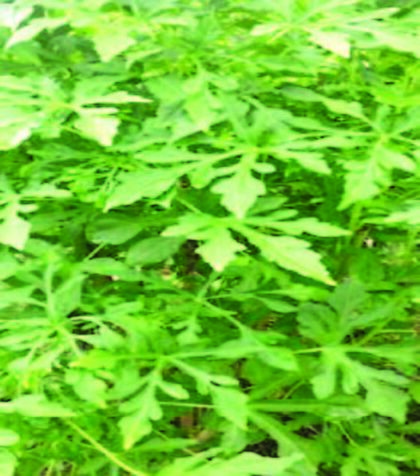 In other countries, the plant is known as sunset aibika, muskmallow, sunset Hibiscus, or Hibiscus manihot. 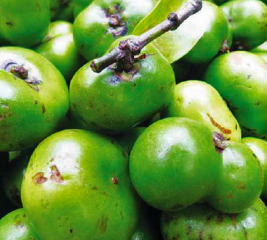 It has a close resemblance to okra and gumamela. In the Philippines, it is called lagikway, likway, gikway, barakue, and nating saluyot. It has an erect growing habit and is grown mainly for its edible leaves and shoots. 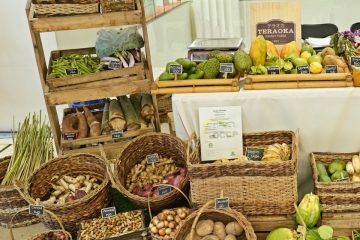 Lagikway is usually grown in home gardens in Quezon province and in some parts of the Bicol region, Visayas, and Mindanao, where rainfall is more pronounced. Planting in dry areas can also be done but more frequent watering and provision of partial shade is required. 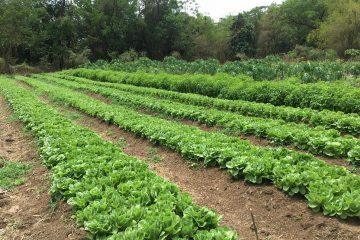 Young lagikway leaves and shoots blend well with many dishes, especially sinigang and tinola, because of their neutral taste. They are used to thicken soup because they tend to be slimy when overcooked. The young leaves can be made into tempura or placed in salads; they are also used to wrap fish, meat, or soup when preparing the native delicacy pinangat. In temperate countries, its seedpods and mature seeds are also utilized as food. Lagikway leaves were subjected to proximate analysis and it was found to contain the following nutritional values: 81.25% moisture, 1.69% fats, 2.11% protein, 2.12% ash, 1.87% fiber, 10.95% nitrogen-free extract or NFE, and 164.83 mg gallic acid equivalent (GAE)/100 grams or g total phenol. 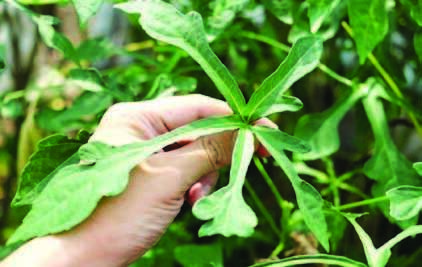 As an alternative medicine, lagikway leaves are boiled in vinegar and applied as a poultice to cure dysuria (painful or difficult urination). It also acts as an emmenagogue (stimulates menstrual flow) and laxative. 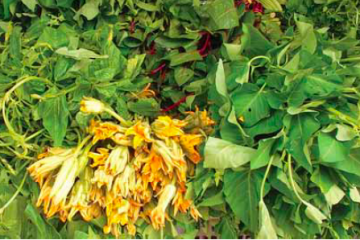 Phytochemical analysis of lagikway showed that it contains alkaloids, flavonoids, unsaturated sterol, and triterpene. 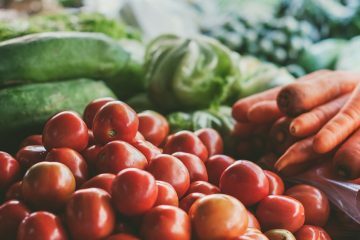 It is also used to treat chronic kidney disease (CKD) by improving immunological reaction, inflammation, renal fibrosis, and renal tubular epithelial injury. In traditional Chinese medicine, it has been widely used to treat kidney disease. 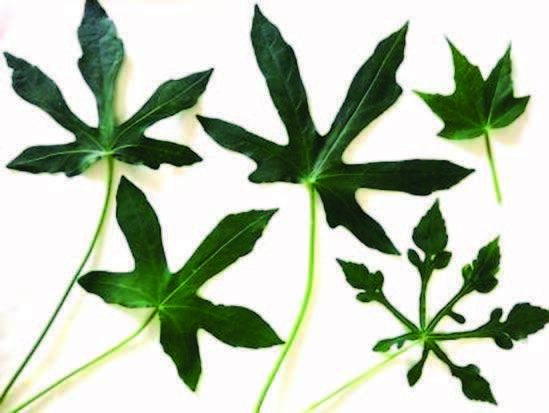 Variety: Cultivars of lagikway can be differentiated through the shapes of the leaves. Some have thick, broad leaves while others have deeply serrated leaves with colors ranging from light green to dark green. There are still no recommended varieties of lagikway. 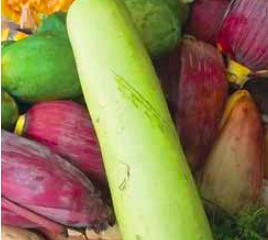 Propagation and planting: In the Philippines, there is no documented report on flowering, pod setting, and seed production of lagikway in various areas where it is locally grown. Propagation is done using rooted stem cuttings about 25-30 centimeters or cm long. Grow the stem cuttings in plastic bags filled with a mixture of garden soil and compost for 3-4 weeks. Before transplanting, prepare holes 12-15 cm deep and 1 meter or m apart. Add a handful of compost then mix thoroughly with the soil. Take out the established cuttings from the plastic bag then transplant to the prepared holes, cover with a mixture of soil and compost, press gently, then water immediately. Nutrient Management: Lagikway grows well in areas with adequate water sources. During the dry season, water the plant frequently and provide partial shade. Fertilize lagikway with manure tea, fermented plant juice, and compost to promote faster growth and boost plant vigor. Pest Management: Mites, white flies, and mealy bugs are some of the important insect pests that attack lagikway during the dry season. Spray the plants with a hot pepper and soap solution to discourage them. Dehydrated lagikway leaves can be processed into flakes, powder, and flour. Lagikway flakes can be used as an ingredient in making breads and noodles while lagikway powder can be used to thicken soups and sauces. 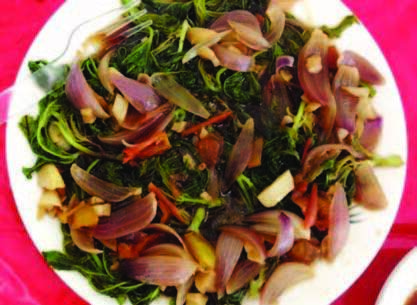 • Plain: Blanch lagikway leaves and serve immediately with a mixture of soy sauce or fish sauce and calamansi juice. • Buttered lagikway: Heat butter in a pan, and add blanched lagikway leaves. Stir until all leaves are coated with butter, season with iodized salt, garlic powder, and ground pepper. Stir again then serve immediately. • Pinangat: Wrap fish, meat, or shrimp with 2-3 layers of lagikway leaves. Arrange in a pot, and add coconut milk, hot pepper, salt and seasoning. Cook over a low fire until tender. • Tempura: Beat an egg and add seasoning. Dip lagikway leaf and fry until crispy. Serve with catsup or hot sauce. Being a good source of dietary fiber, lagikway can be added to food formulations for the elderly for better digestion and to facilitate bowel movements. For more information, please contact Dr. Rodel G. Maghirang, Crop Science Cluster-Institute of Plant Breeding, College of Agriculture, University of the Philippines Los Baños, 4031 College, Laguna, or email rgmaghr@yahoo.com. This story appeared in Agriculture Monthly’s January 2017 issue. Thank you for contacting Agriculture Monthly magazine on our website! Unfortunately, we aren’t equipped to answer your concern at the moment.